Chartered accountants who help make sense of the confusion clients can face financially. 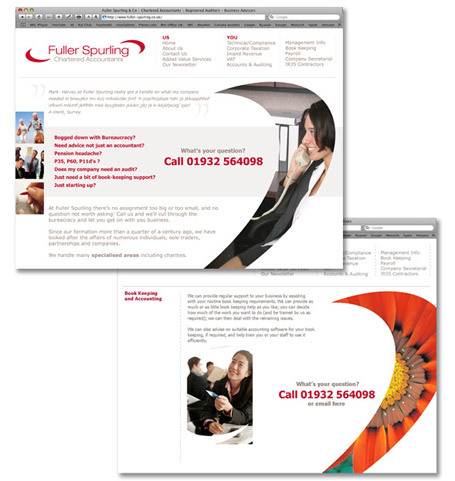 To create an eye-catching and uniquely different website whilst retaining the existing logo / brand. Utilising the existing logo and its half moon shapes, we steered away from the usual dull and stuffy accountants website, with movement and dynamism injected with images within those shapes. Bright colours and a focus on problem solving, with stunning thought-provoking images, the site is both memorable and unique.